Paul Scheinberg, MD, chief medical officer and chief quality officer for Emory Saint Joseph's Hospital, has retired after a 38-year career in pulmonology. Scheinberg built a thriving practice and was a founding partner of Atlanta Pulmonary Group. Since 1979, he was actively engaged in the practice of pulmonology and critical care medicine at Saint Joseph's Hospital. A self-described "clinician at heart," Scheinberg dedicated his career to patient care, and also to mentoring many physicians. "The relationship with my patients has been so rewarding, and I have learned from all of them. I have always focused my attention on being the best physician I could be for them," he says. During his distinguished career at the hospital, Scheinberg received the Napier Burson Physician of Distinction award in 2013, Emory Saint Joseph's highest honor for physician service. Scheinberg was awarded this honor based upon his adherence to the Mercy philosophy and contribution to the Mercy mission in Atlanta; his contribution to the quality of medicine practiced at Emory Saint Joseph's; and leadership as a member of the medical staff. In addition to serving as chief medical officer and chief quality officer at Emory Saint Joseph's, Scheinberg's leadership positions also included serving as chief of the medical staff, chair of the Department of Medicine and chief of the Pulmonary Section. 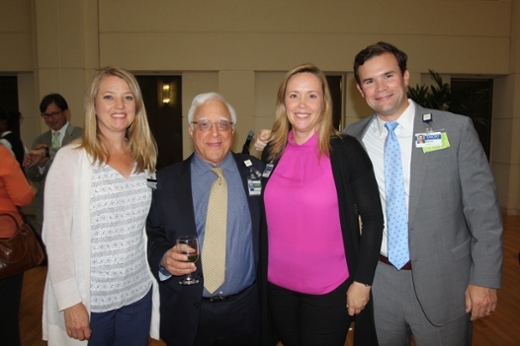 "We are grateful to Dr. Scheinberg for his tireless commitment to Emory Saint Joseph's and patients in our community, and as a valued colleague, we will miss his contributions on our team," says Heather Dexter, CEO of Emory Saint Joseph's. Throughout his career, Scheinberg dedicated significant time to research and served as principal investigator in numerous studies involving chronic lung disease, acute exacerbation of chronic bronchitis, pneumonia and bronchiectasis, as well as sleep disorders and smoking cessation. Scheinberg's first experience in the field of medicine occurred at the age of five, when he followed his physician father on rounds at Maimonides Medical Center in Brooklyn, New York. "There was never a question in my mind about becoming a doctor," he says about following his father's model and dedication to medicine. Scheinberg received his medical degree from the State University of New York Downstate Medical School, and completed his internal medicine residency at Grady Memorial Hospital. During his residency, he served as a flight surgeon in the U.S. Navy, where he studied and developed an interest in pulmonary physiology. He completed his internship and residency in internal medicine at Emory University, followed by a fellowship in pulmonary diseases at Emory. In addition to his medical career, Scheinberg has been actively involved for many years with the Jewish National Fund, successfully establishing medical facilities in the southern area of Israel near Negev and the Jordanian border. He also established relationships with a delegation of Israeli mayors and community leaders from the Western Galilee Cluster. During a visit to Emory Saint Joseph's last fall, Scheinberg introduced the group to various areas of medical technology and patient care.